A look back at our history reveals that the arts have always been at the very heart of a Jesuit education. The Fine and Performing Arts department at BC High is committed to fostering an environment for students to grow and explore the arts through exhibits, classes, performances, guest speakers, and off-campus experiences. Our dedicated and talented faculty work with students to guide their passions, develop their creative and expressive potential, and provide them with the skills necessary to move easily into a college arts curriculum. Throughout the year, the Fine and Performing Arts department offers academic courses and co-curricular activities in visual and performing arts, and the opportunity to travel and perform both locally and internationally. Whether a student is an aspiring actor, musician, visual artist or simply seeks to enrich his education through art, there is something for everyone. 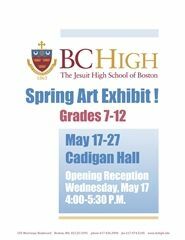 Mark your calendar for Annual Spring Art Exhibit Opening Reception on Wednesday, May 17, from 4 p.m. to 5:30 p.m in Cadigan Hall. 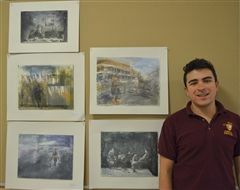 Congratulations to seven of our aspiring visual artists, who earned recognition for their work in the 2017 Massachusetts Regional Scholastic Art and Writing Awards. 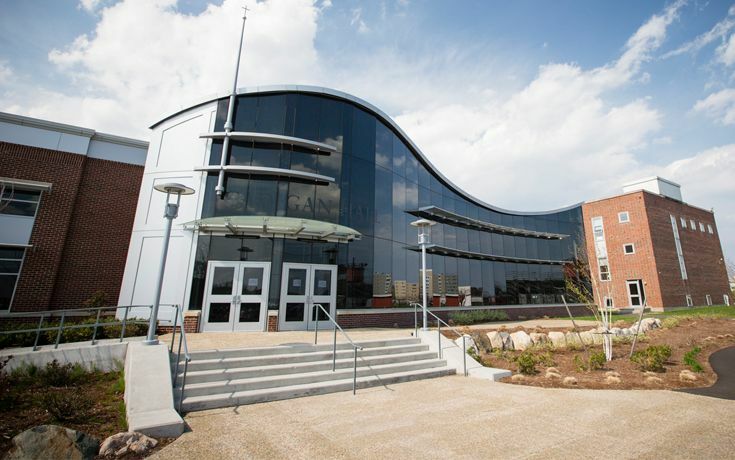 In 2013, the construction of Cadigan Hall added more than 28,000 square feet of beautiful space dedicated to areas of music, fine and performing arts, and athletics.